The Bench Scale Composite A&D EK-H series top loader balance provides a wide selection of capacities and resolutions up to 1/60,000. 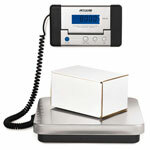 Its versatile features include full digital calibration, a hold function for weighing animals, and a large LCD display. Its small footprint and rechargeable NiCd battery make it convenient and portable. Here you will find the best load cell, all models all brands, are highly efficient and long-lasting products because we reserve the best materials just for you. All our Bench Scale Composite A&D EH-H are guaranteed. Bench Scale Composite A&D EH-H are one of the best on the market this days. What are you waiting for ?